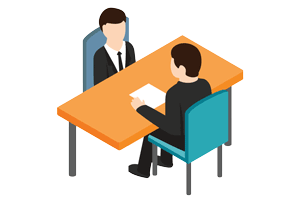 Career Counsellors often face the challenge of having to give a long term career advice to a person based on the information gathered from a very short interaction that may last fifteen or twenty minutes. Although their expertise and experience allow them to make some compelling observations, the lack of insight into the person’s psychometric make up impedes them from offering a comprehensive advice. And it is very obvious that such an insight can be revolutionary. We believe that LCAT as a tool can empower the counsellors in their routine counselling activities and will also allow them to reorient their overall counselling methodology by offering a deeper statistical and analytical perspective. Counsellors using this specific LCAT solution will be able to control and manage all activities related to them using a “Counsellor Dashboard” that has been specifically developed for them.